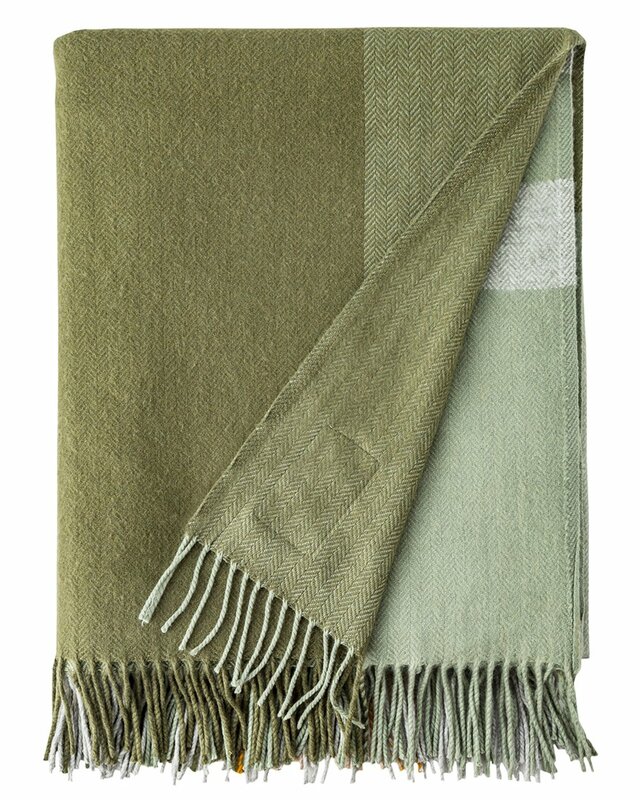 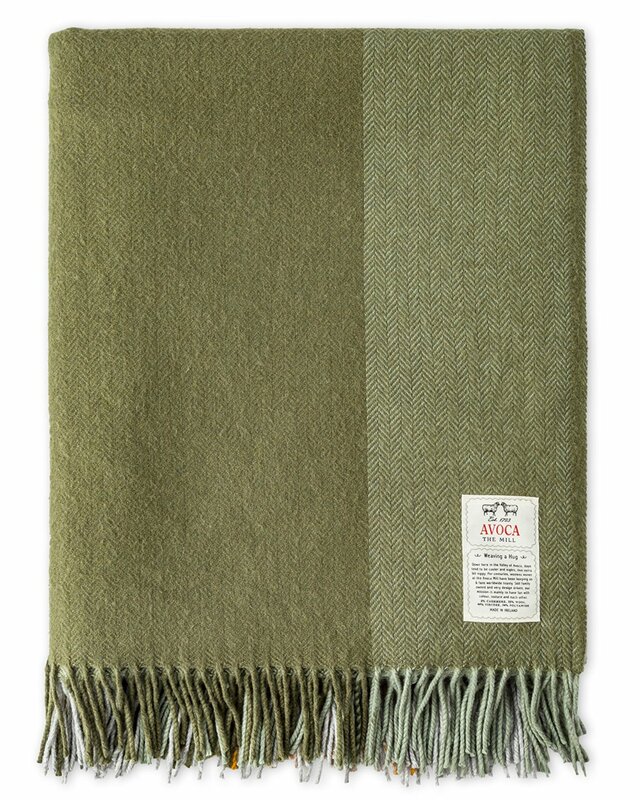 Boasting various muted shades of green and grey, the July Bug throw will add comfort and style to your living space. 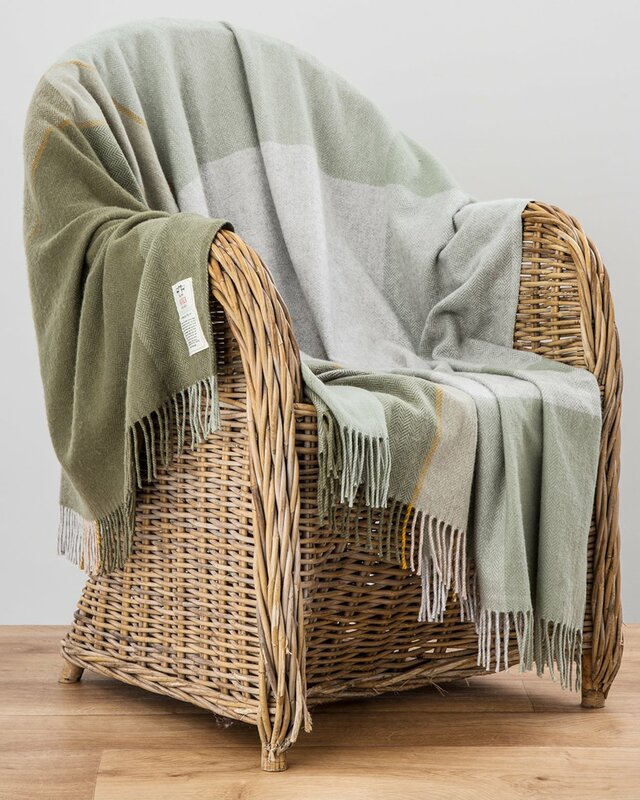 Made in our Mill in Avoca Village, this sumptuous throw is crafted from a rich cashmere and wool blend - perfect for layering over your bed or couch. 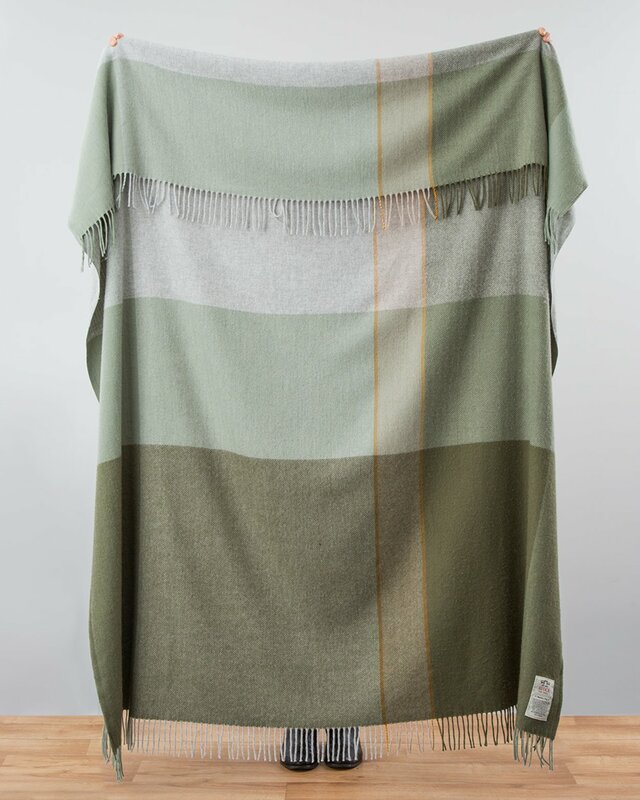 We love the tassel fringing, too.